Below is an audio interview I conducted with Devlin Kuyek, Senior Researcher at GRAIN. GRAIN is a small international non-profit organisation that works to support small farmers and social movements in their struggles for community-controlled and biodiversity-based food systems*. In the interview, Devlin talks about a recent report they put out that reveals how a Canadian agribusiness company, Feronia — financed by American and European Development Institutions, is involved in land grabbing, corrupt practices and human rights violations in the Democratic Republic of Congo. Kuyek traces the colonial origins of palm oil plantations in the DRC along the Congo River, dating back from the time of King Leopold and the Lever Brothers (which became Unilever), to present-day land grabs funded by Development Finance Institutions and sanctioned by the World Bank; a process which has occurred as part of a re-orientation of aid from poverty alleviation to straightforward investment in private companies. Community members interviewed as part of the report claim that their land was never ceded to the company and that conditions on the plantations are abysmal. According to Kuyek, this type of large-scale intensive agricultural model that is expanding in different parts of Africa is deeply problematic, taking away valuable land and water resources from small farmers and pastoralists, and creating greater food insecurity in places that are suffering most from the global food crisis. Your recent report looks at what you call ‘agro-colonialism’ in the DRC, and specifically at a Canadian company, Feronia, that’s investing in palm oil plantations in the Congo. We think of agribusiness and land grabs more in a contemporary sense on the continent, but in the DRC there’s a whole history to palm oil. Can you go back a bit and give some historical context to palm oil plantations in the DRC? Yes, many of the current land grabs are actually new companies taking over old plantation concessions. This is the case in the DRC with Feronia. These plantations go back over 100 years and were set up by the Lever brothers at the time, which became Unilever, now one of the largest food multinationals in the world. 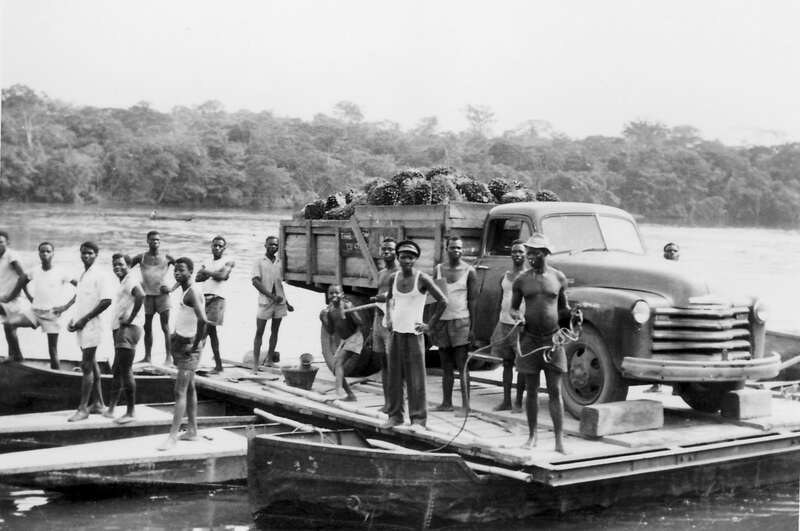 They were given an enormous concession by King Leopold along the Congo River, which is a beautiful area of forest. Palm oil is a traditional crop of the people and has hundreds of different uses. They started forcing people to collect and harvest palm oil for them. So initially it wasn’t plantation agriculture, but it quickly moved to a plantation model. Their concessions were for around 100 000 hectares. It was the most severe and grave forms of colonial plantation exploitation you can imagine. Most of the local people would describe it as slavery and this is how it was for about 80, 90 years. Then into the 90s, with war in that part of the Congo, Unilever’s activities started to decrease and they put their plantations up for sale. And you now have this new investor, Feronia, set up by financial players that have no experience in the agricultural sector, but were interested in taking advantage of the new push into agribusiness in Africa. They set up Feronia and were going to turn the DRC into the new Brazil of Africa, introducing a Brazilian model of GMO, intensive monoculture, large-scale farming in the Congo, which is a mainly a country of small-scale production. In your report, you gave examples of people who have been intimidated by the company for harvesting palm oil in specific areas where there are plantations. There was also a case of a young man who disappeared. Can you talk about some of those incidents? Whoever we spoke to, one of the first complaints they had was about the local company security. These concessions are like states within a state. The company controls everything – the roads, the social services and their own police force. All of the people that we spoke to had stories of intimidation or abuse from these company security agents. What often happens is, given the poverty and lack of access to land and forest, people will occasionally collect nuts that have fallen in the plantations and apparently, if they are caught by the company security forces with nuts in their hand, they are severely treated. We’ve heard cases of people being whipped, arrested, brought to local prison and in this one case, we were told of a boy who was caught with oil palm nuts and was detained, put on a company vehicle and was supposed to be brought to the local police station, but never made it. He has not been heard of since. The family was afraid that they would be targeted and harassed so they fled as well and have been in hiding ever since. * In 2011, GRAIN won The Right Livelihood Award, the “Alternative Nobel Prize,” for their work.